I have a serious love for sneakers. For this project I deconstructed, painted and refinished two of my favorite pairs of sneakers. 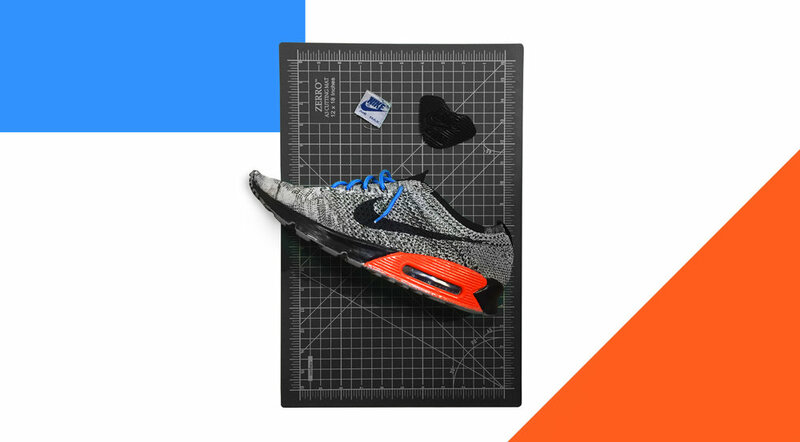 I took the upper from a pair of Flyknit racers and the sole from a pair of Air Max 90's to create the FLY 90. Below are some pictures from my process.